Pascal Analyzer is our flagship product. It was first released in 2001, and is currently in version 9. This program parses Delphi source code (Object Pascal) and produces reports that help you understand your source code better. You will also be able to identify potential errors and anomalies. Read more, and try out the FREE evaluation version! 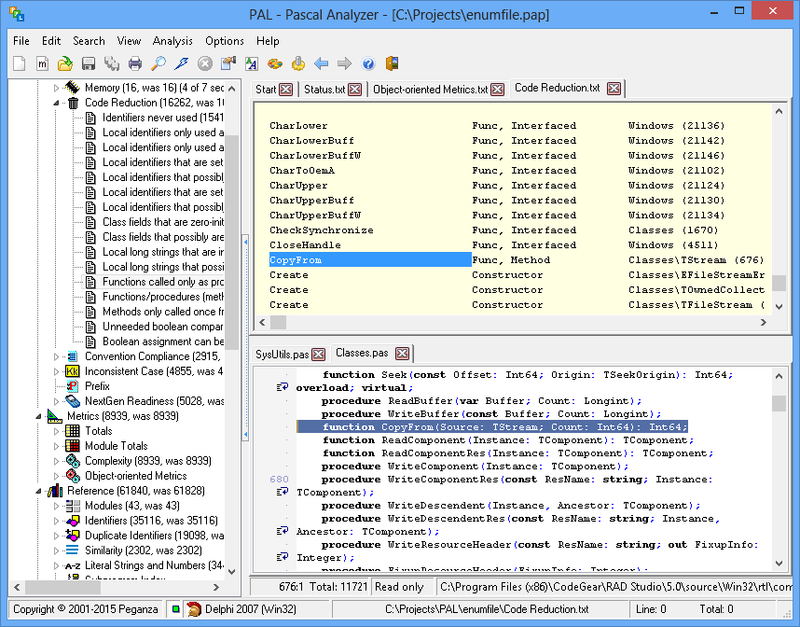 Pascal Analyzer Lite is our new and totally FREE product. As the name implies, it contains a subset of our popular Pascal Analyzer, a static code analyzer for Delphi and Pascal code. Pascal Analyzer Lite is almost identical to the full product. But it only generates and displays a part of all available reports and report sections. 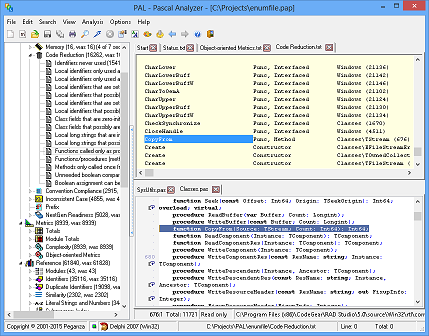 Pascal Analyzer Lite replaces ICARUS, our free product for analysis of Delphi uses lists. Download it from this page. Extract the installation program from the ZIP file and run. Pascal Expert 9 has arrived! Pascal Expert 9 has just been released! It is a major new version with many new features, and also adds support for the new Delphi 10.2 Tokyo from Embarcadero. For registered users, use the download link in your registration email to get the new version. (Even if the link downloads PAL8FULL.ZIP, this is the right file!). Pascal Analyzer 9 has just been released! This is a major new version with many new features. It also adds support for the new Delphi 10.2 Tokyo from Embarcadero. For users of Pascal Expert, our RAD Studio plugin: in a short time, there will be an update with corresponding features as in Pascal Analyzer. Pascal Expert is a brand new plug-in product for Embarcadero's Delphi IDE (RAD Studio). The main task for Pascal Expert is to perform a static analysis of your source code, to detect possible issues and errors in your code. The results will help you better understand your code and support you in producing code of higher quality, consistency, and reliability. Pascal Analyzer 8 is here! Registered users can upgrade for just $69. Read more about the new release in this blog article.